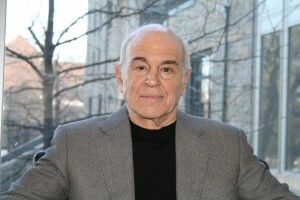 This week, Prof. Bennett Gershman, an expert on prosecutorial misconduct, was interviewed on the Legal Broadcast Network about the case of a Texas man just exonerated in the 1986 death of his wife. Lawyers for the man, Michael Morton, are expected to file a request for a special hearing to determine whether a prosecutor broke state laws and ethics rules by withholding evidence that could have led to Mr. Morton’s acquittal. Gershman told the Legal Broadcast Network that when the case was recently reopened after a Texas court allowed for DNA testing on a bandana covered with blood found near the crime scene, it became apparent that then-Williamson County District Attorney Ken Anderson had known of important evidence and failed to share it with the defense. Anderson is now a federal judge. Gershman argued, “This evidence would have, I think, easily shown that Mr. Morton could not have committed the crime.” It included reports by neighbors of an intruder driving around the victim’s home; evidence that a credit card and check owned by Morton’s wife were used a few weeks later across state; and statements made by the Mortons’ 3-year-old son that the man who killed his mother was a monster. Morton’s attorneys are now seeking to have a judge investigate whether Anderson should be disciplined, and possibly criminally prosecuted, for failing to disclose critical evidence 25 years ago. “There’s no precedent for this. I don’t know of any case where this type of disciplinary mechanism works this way,” said Gershman. Gershman remarked, “We know today that the system has built-in weaknesses.” One important weakness is the undue weight juries give to accounts from eyewitnesses, who frequently make mistakes. The vast majority of exonerations result from DNA evidence disproving an eyewitness identification.